Cheap Car Insurance You Can Trust. The term “cheap” often has a negative connotation, but not when it comes to car insurance from Freeway Insurance. With Freeway Insurance, cheap auto insurance means something different. Freeway Insurance offers cheap car insurance you can trust, meaning you’ll get a car insurance policy from a top insurance company that meets all your needs – all at a price you can afford. The cost and style of your vehicle will impact your insurance rates. The age of your car also matters, as older cars tend to be cheaper to insure. If you drive an older car with high mileage, you might consider eliminating collision and/or comprehensive coverage if you want to keep your premiums low. Insurance rates can sometimes increase after an accident or moving violation. The good news? You may qualify for a discount after a certain period of driving accident-free. Higher deductibles can significantly lower car insurance premiums. While it could mean more out-of-pocket expenses in the event of an accident, it could also mean paying less over time. Rates are determined to some degree by the area in which you live and park your car. If you add someone to your policy, your rate will increase, particularly if that person is a new teen driver. Statistically, teenagers have more accidents so they’re more expensive to insure. Cheap auto insurance doesn’t mean you have to compromise on quality. You just have to know where to get it and what to look for in a policy. Freeway Insurance makes it easy to obtain low-cost auto insurance. 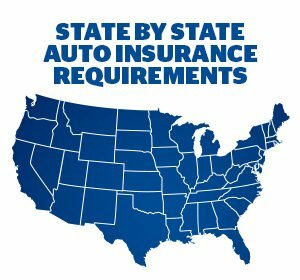 You can get a car insurance quote online, over the phone at 800-777-5620, or at one of our conveniently-located offices in less than three minutes.